Cloud is a dynamic infrastructure that provides scalability and resource sharing. Whether you have a private Cloud or plan to use public Cloud, Q-Suite is a Cloud enabled software offering the flexibility to setup either a Multi-tenant contact center platform or a Single tenant exclusive contact center solution for your organizational needs. It is a true multi-tenant, multi-server product which allows the segregation of different tenants into separate partitions with a common management of resources including telephony trunks. Q-Suite multi-tenant software is capable of scaling to multiple Asterisk servers. The System Administrator sets up the tenants and the available resources. Within each tenant there are various privilege levels to allow the tenant to effectively manage operations. 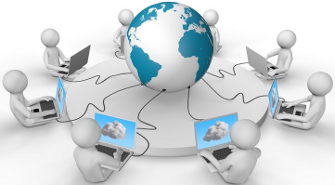 A single tenant can run multiple geograhically separated distributed contact center operations in locations group of agents. Whether you are looking to offer Call Center Software-as-a-Service in the Cloud or if your organization is looking to move its multi-level site based infrastructure management into the cloud, Q-Suite as a SaaS application will bring value and agility. Q-Suite has been used by hosted service providers from 2007 and leverages the technology stack of Asterisk, Linux, MySQL and Apache to provide an extremely cost effective contact center solution for your Cloud operation.